If you are injured or made sick at a job, you may be eligible for workers' compensation benefits. All employers are required to obtain this coverage for their employees. Coverage is not provided to independent contractors, and it need not be provided for seasonal or temporary workers. You should notify your employer in writing of your job-related injury or illness as soon as possible. Your employer can designate a health care provider to evaluate you for your first visit, but after the first visit, you are entitled to choose your own treating physician. You will be allowed to change providers only once without permission from your employer's insurance carrier. After that, you will need the insurer's agreement. The Middlesex County workers’ compensation lawyers at Pulgini & Norton are familiar with each step of this process and can vigorously assert your rights from start to finish. An insurer is entitled to have you evaluated by a doctor of its choice. However, it must take you as it finds you. In other words, you cannot be denied coverage because you have a pre-existing condition or a prior injury. Most workers switch jobs multiple times in their careers. Sometimes a worker is injured on the job more than once in different workplaces. Workers' compensation is intended to provide benefits for any incapacity arising out of a compensable injury sustained during the policy period. What happens if there are multiple employers and an exacerbated or worsened injury at issue? 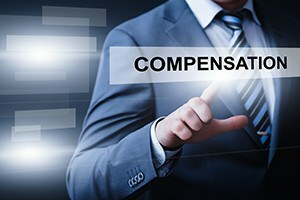 Under the successive insurer rule in Massachusetts, the insurer that covers the risk at the time of the most recent injury with a causal connection to the claimed disability is required to pay the benefits to the employee. The insurer has this obligation even if the most recent injury only slightly contributed to a claimant’s inability to work. When you go to see a doctor for treatment related to your workers' compensation claim, you should provide the doctor with information about the claim so that the doctor can bill the insurer. In Massachusetts, medical treatment guidelines are applied in workers' compensation cases. These guidelines are reviewed on a yearly basis and cover 28 medical conditions as well as appropriate diagnostic tests and treatments for them. These conditions include knee injuries, shoulder injuries, neck injuries, spinal injuries, chronic pain, and asthma. Each broad category encompasses treatments for multiple different conditions. Workers' compensation insurers will evaluate the medical services that you are expected to receive from your provider. Utilization review agents will decide whether a treatment is necessary, reasonable, appropriate, and effective by consulting the guidelines. You can pick your provider, and about a 10% deviation from the guidelines is expected. However, providers are expected to adhere at least somewhat to the guidelines. If you are hurt on the job, you likely are eligible for workers' compensation benefits. However, this process is often less straightforward than it seems, and a workplace accident lawyer can help you make sure to put forth your most persuasive case under the circumstances. For knowledgeable guidance with your claim, call the Middlesex County workers’ compensation attorneys at Pulgini & Norton at 781-843-2200 or contact us through our online form for a free consultation.